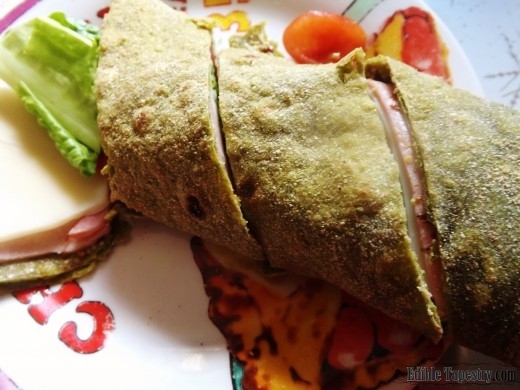 DIY Whole Wheat Veggie Wraps ~ Spinach, Carrot…Pumpkin? 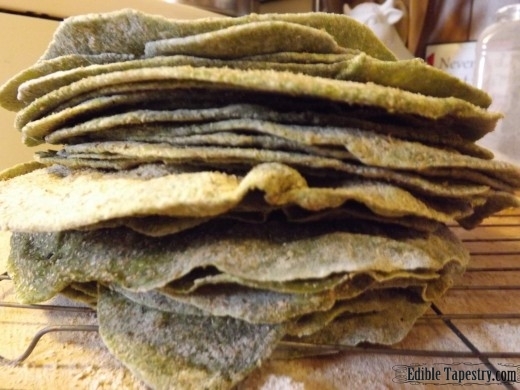 Homemade whole wheat flour tortillas are a cinch to make, so I wondered two summers ago, when I was baking for my weekly sales at our local farmers market, if I could pull off making veggie wraps using my usual tortilla method. Easy as pie! Easier, actually. 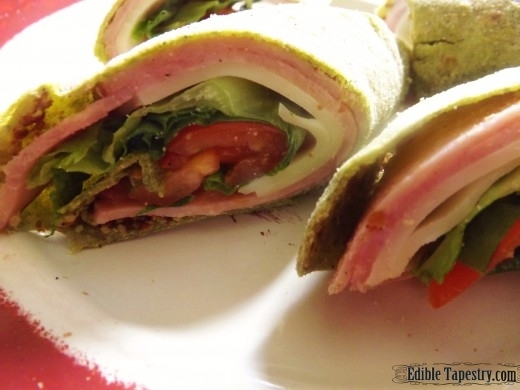 Now they are a staple in our family and the bread of choice for weekday lunches. 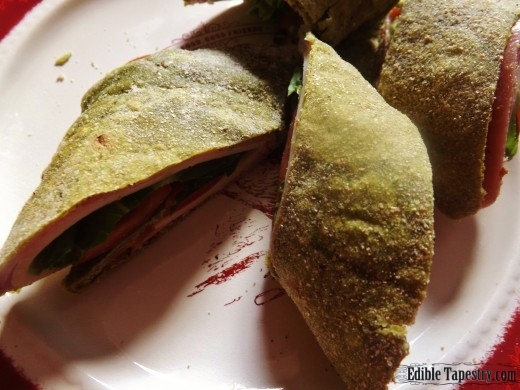 And because they only need to be cooked on a hot griddle for a few seconds on each side, I am able to give my family another way to get in their fresh greens. 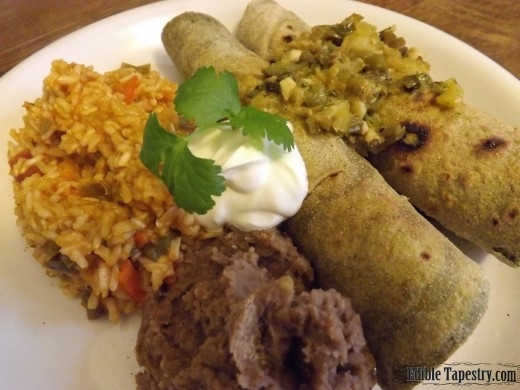 They also make great tortillas for Mexican nights with beans and rice, and scoops for hummus, alongside fresh vegetable sticks, for snacking with a movie. 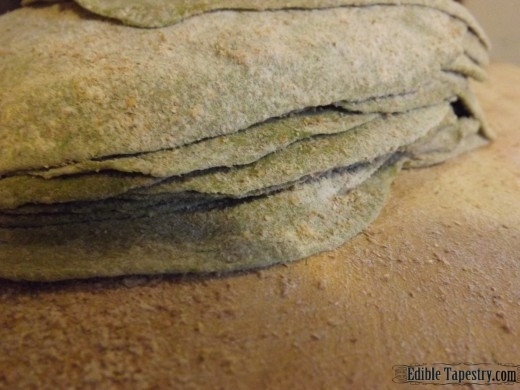 In under an hour, I can mix up enough dough to make a couple of dozen wraps from just four ingredients, toast them on hot cast iron, cool them, and have them loaded into my freezer in packets of 6. 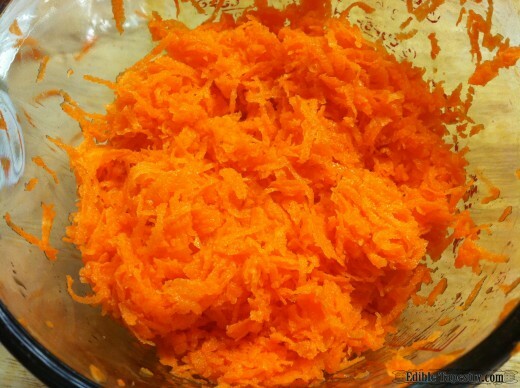 And if I’m really feeling ambitious, I mix up a second batch, substituting pureed raw carrots and water for the fresh spinach so we can have a little variety in our meals and extra vitamins from another source. 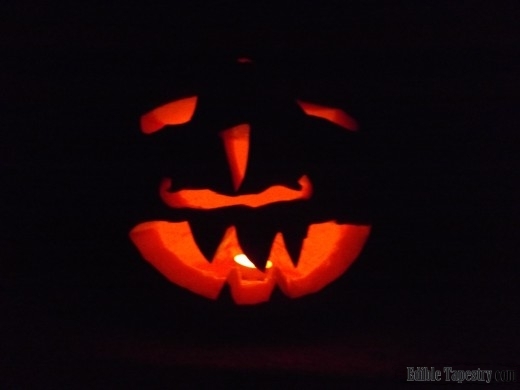 I’ve yet to try using beets, but I believe they would work just as well, as would pureed pumpkin, which I happen to have a lot of at the moment, since I cooked down my sons’ Halloween Jack o’ Lanterns this past week. 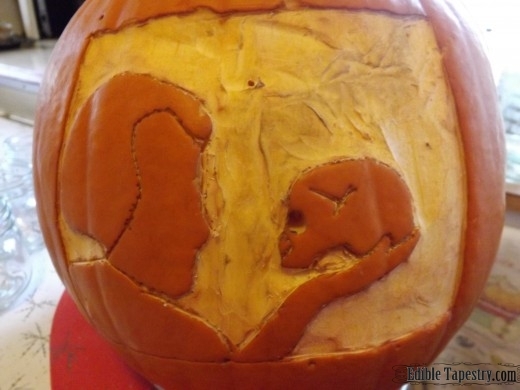 …and a Macbeth-inspired carving. Love those crazy-creative boys! We’ll see how my husband feels about wraps made out of his least favorite variety of plant, the squashes. I just may be able to get away with it. 1 tsp. pink Himalayan salt. 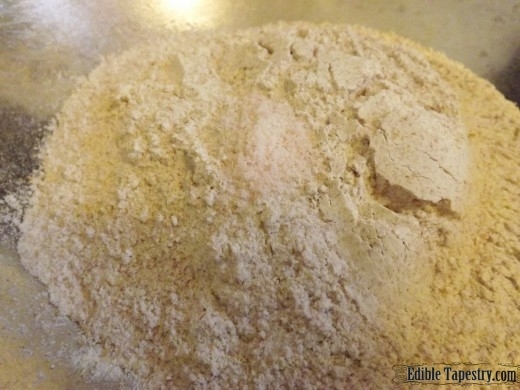 Adjust the amount if using table salt, which is much saltier. 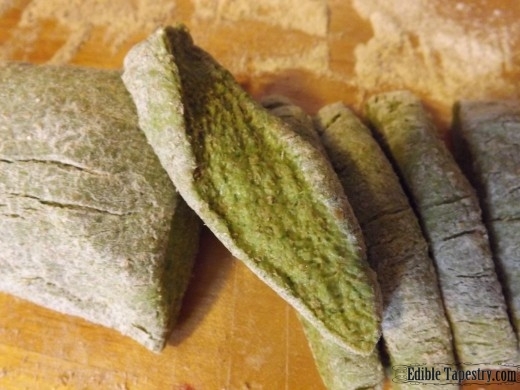 5-6 cups whole wheat flour, + more for rolling. 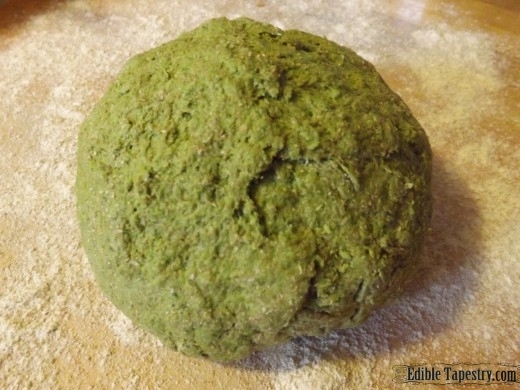 Amount will vary depending on the water content of the spinach used. 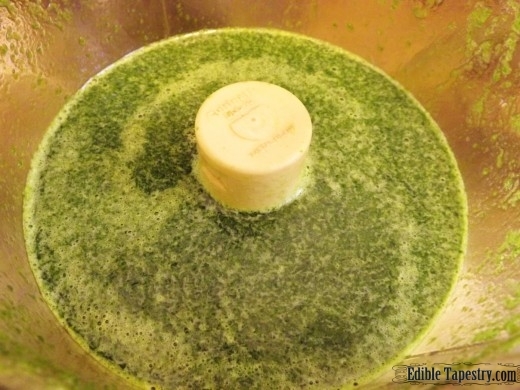 Puree the spinach leaves in a food processor with the water. 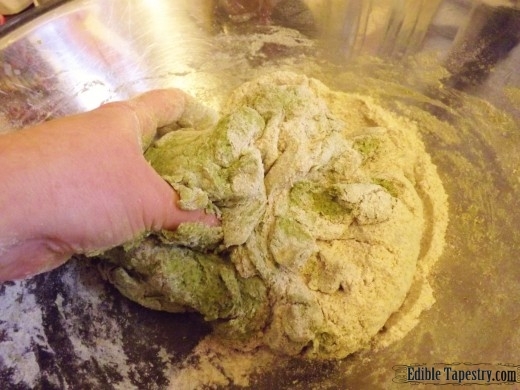 Work in the spinach liquid until a dough forms, adding flour as needed. 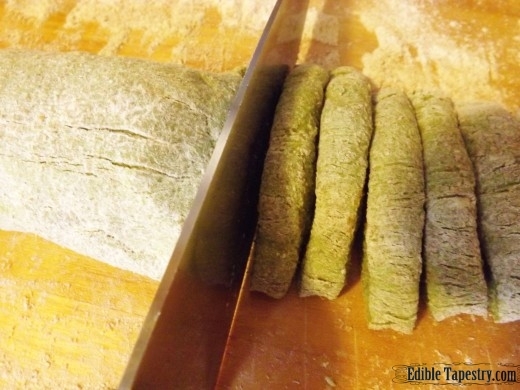 Roll the dough into a log on a well-floured surface. 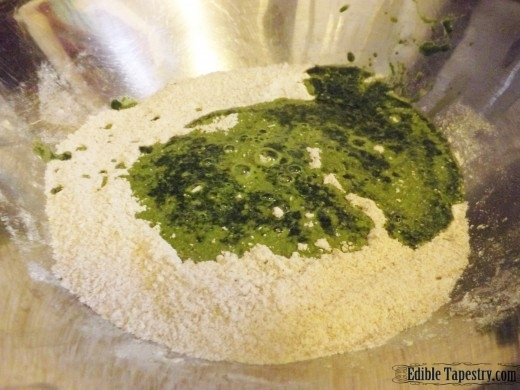 Divide the dough into sections. 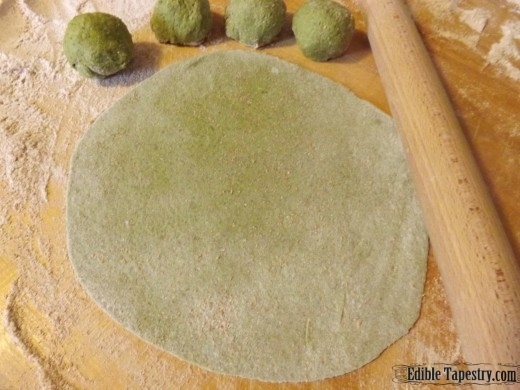 Roll each portion into a ball before rolling each ball into a round with a rolling pin on a floured surface. I roll out all of mine first, stacking them with lots of flour in between. 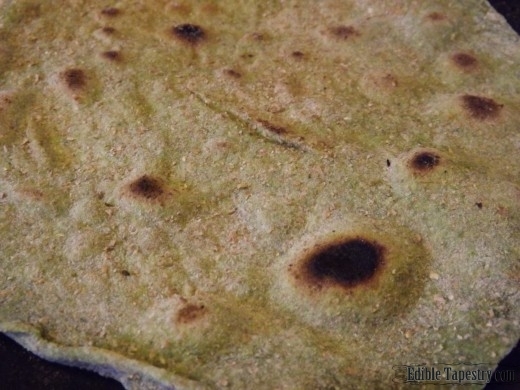 Cook for a few seconds on a very hot griddle. Flip and heat the other side until the wrap bubbles up. I intentionally char mine because we love the flavor it gives whatever we are eating them with. 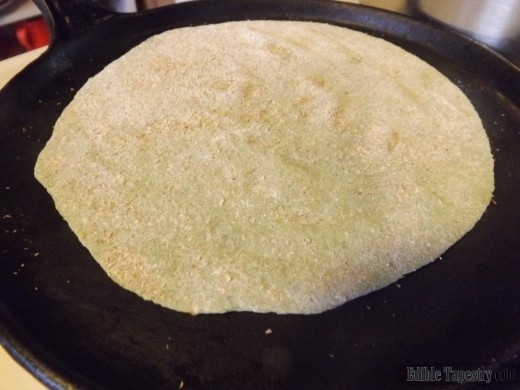 For crunchier wraps, reduce the temperature and cook them longer on the cast iron. 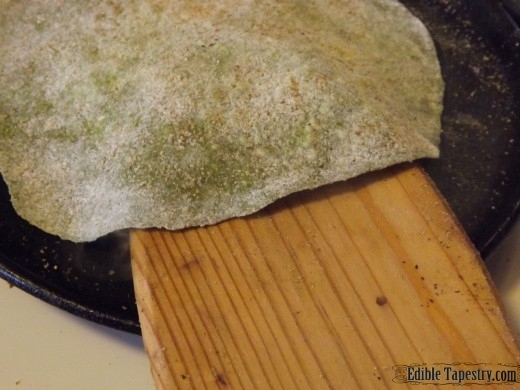 For soft wraps, cook them very quickly, just until they firm up and stack them while they are hot. Cool completely before wrapping and freezing.